The bodywork was designed specially for displaying products. When the entire side opens it reveals a selection of products on display. Access steps allow customers to enter and view the range of tools. 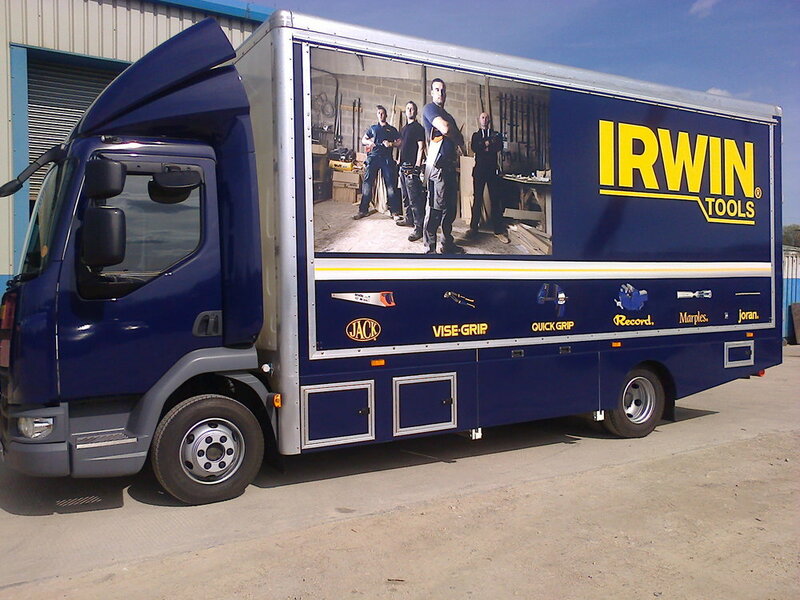 A purpose built two axle step frame trailer designed for transporting two formula one stock cars. It includes space for a workshop area and living accommodation. 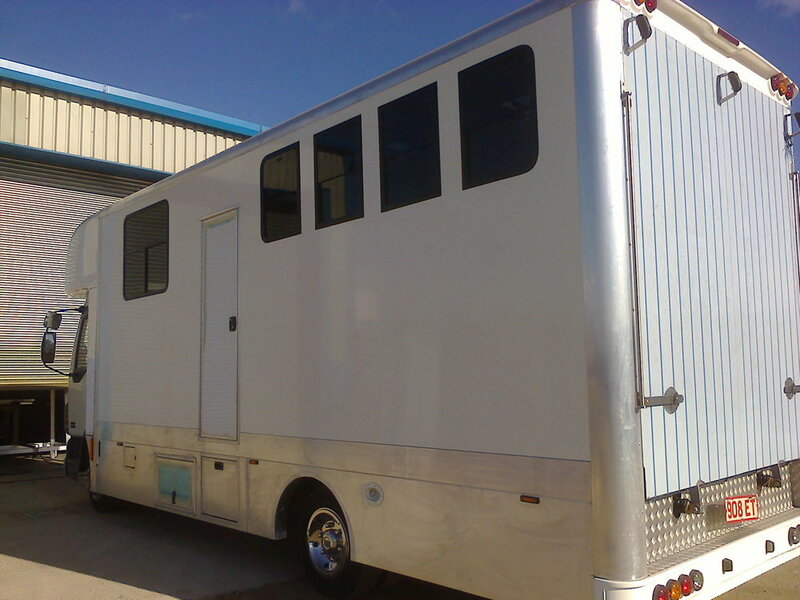 This custom built horsebox was constructed using lightweight aluminium flooring and lightweight GRP panels for the body sides. Includes space for living accommodation at the front. A three axle semi trailer that has been cut down into a drawbar. 6 x 2 midlift tractor unit converted into an 8 x 2 tractor unit for fitting of FASSI 80 ton crane. Design & install crane sub frame, with a “floating” body mounted on load cells for rail replacement.